THIS CLASS IS NOW FULL. SIGN UP ON THE WAITLIST BELOW. ​ABOUT YOUR TEACHER: Casey Grambo is a comedian and theatre artist that performs improvisational and sketch comedy with Hartford's Sea Tea Improv! Casey teaches improv at Sea Tea Improv studios and at Hartford Stage. She directed Sea Tea Improvs first scripted production, GUTENBERG! THE MUSICAL! in November of 2014. 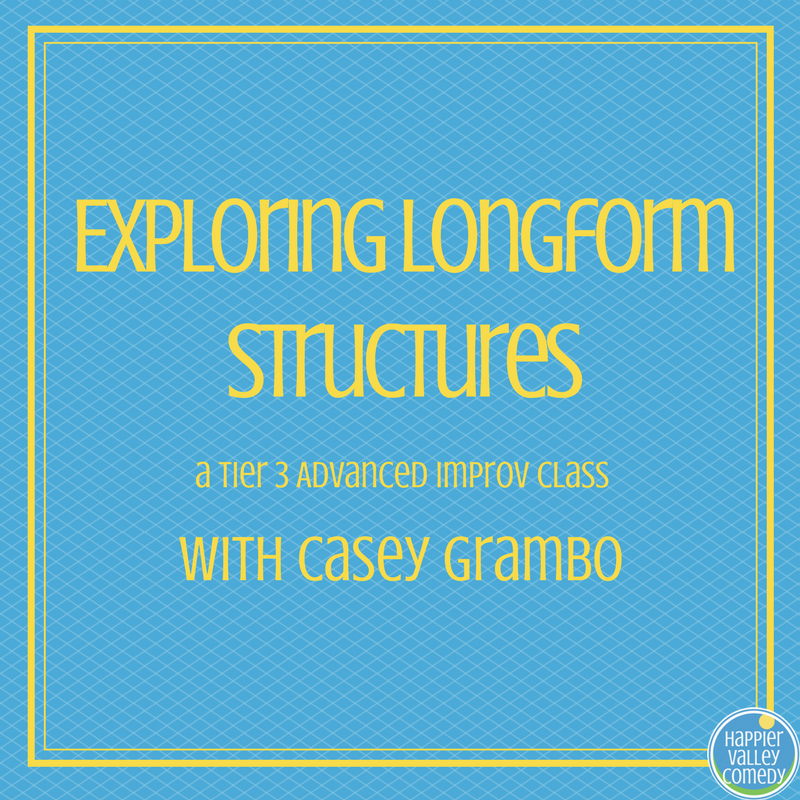 Casey is a graduate of the long form improv program at the Upright Citizens Brigade Theater in NYC and holds a BA in Theatre from Fairfield University. She has had the pleasure of working with many Connecticut theatre companies in multiple capacities including Hartford Stage, Westport Country Playhouse, Playhouse on Park, TriArts Sharon Playhouse, Theatre 4, and The Goshen Players.